The observatory at Sonnblick (3106m), an exposed summit of the main Alpine divide in the Hohen Tauern, Austria. 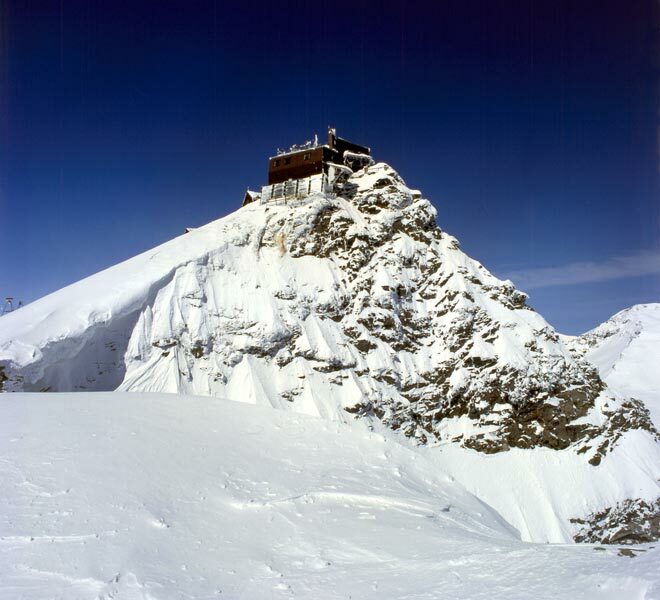 Since September 1886 meteorologica data have been measured and observed continously at the same site, so it is one of the most important high altitude sites in Europe. More information (in german) can be found at the home page of Sonnblick Verein. All pictures are copyright protected, any use requires the prior approval of the copyright holder. Please contact the ALP-IMP Management for details.